Welcome to day three of “The Honey-Do List” blog swap! I am the host today and the topic is “What Home Improvement Would Be Like Without Our Husbands”. Erin from His and Hers: Home improvement on my own would no longer equal home improvement, I’m afraid. It would equal “home burning down” or “home wrecking” or “home going into debt because of all the professionals I’ve had to hire.” I can handle the sewing machine and a paint roller, but put power tools in my hands, and you’ve just handed Amelia Bedelia a weapon of mass destruction. And building things? Pfffft. There is no way I could have built our vanity, our desk, or our closet shelving without Rick. My attempts would have resulted in rickety furniture akin to that made by a careless Girl Scout who just wanted her woodworking badge because it had a cute beaver on it. Seriously. I’m slowly learning how to use power tools as Rick sees fit to teach me (in other words, as Rick sees fit to trust me with his expensive toys), but I am in no way ready to use them in the ways that he can. Kelly from View Along the Way: If I didn't have a husband who DIYs, I would eat ramen noodles for every meal and sell my firstborn child to pay for a professional carpenter to cater to my every whim. That's option 1. Option 2 is that I'd attempt the projects on my own. You guys can picture a crazy, wonky fun-house with no 90-degree angles, right? That would unintentionally be the end result of all my projects. I'm grateful to have a husband who DIYs because it means I get to keep my firstborn, and I'm getting kind of attached to that kid. Carrie from Hazardous Design: My idea of DIY before I met Chris was pretty much limited to paint and no sew sewing projects. I like to think that eventually I'd work up the nerve to purchase and learn how to use some power tools on my own, but really, who are we kidding? That probably wouldn't happen. More likely I'd avoid power tools all together and attempt projects like hanging crown molding using a hand saw and adhesive. Or I'd go broke hiring someone else to do it. One way or another, projects around here would certainly be compromised if Chris wasn't a DIYer. 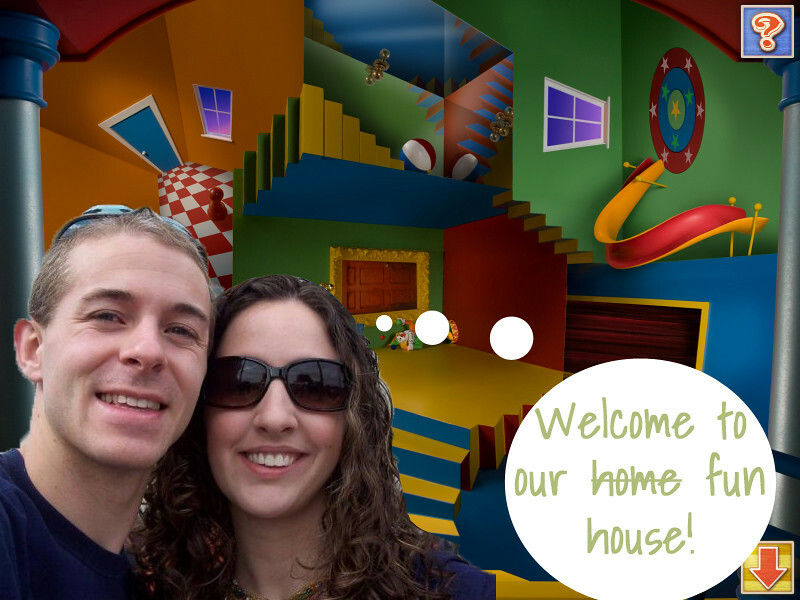 Michelle from here: It pains me to admit this publicly on this very popular and highly influential blog but here it goes...without Nate there would be very little home improvement going on at Decor and the Dog (other than some painted furniture). I like to take credit when it isn't do. I come up with the crazy ideas and drag my poor husband into my madness...and then make him do a lot of the work. Don't feel too sorry for him though. He likes it. Seriously. I think. No, he does. There you have it. Home improvement just wouldn't be the same without the dudes in our lives. Sorry feminists of the world. We tried.